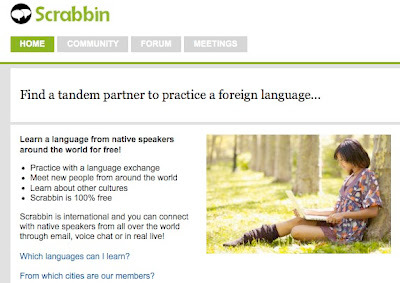 I've just spotted another language exchange website to add to a rapidly growing list of these sites. 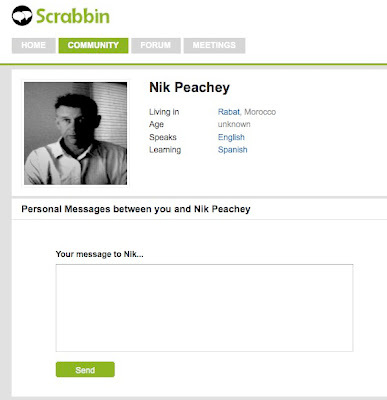 Scrabbin is distinctive however, because it is one of the simplest I've seen and because it also offers people the chance to arrange face 2 face events and meetings. It's very simple and free, you just create a profile, log in and then search for a suitable partner to exchange languages with. 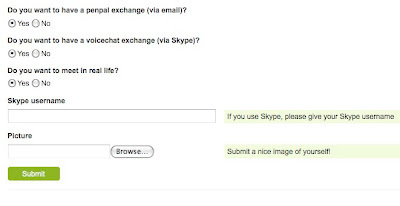 When you create your profile you specify the kind of exchange you want to have, i.e. 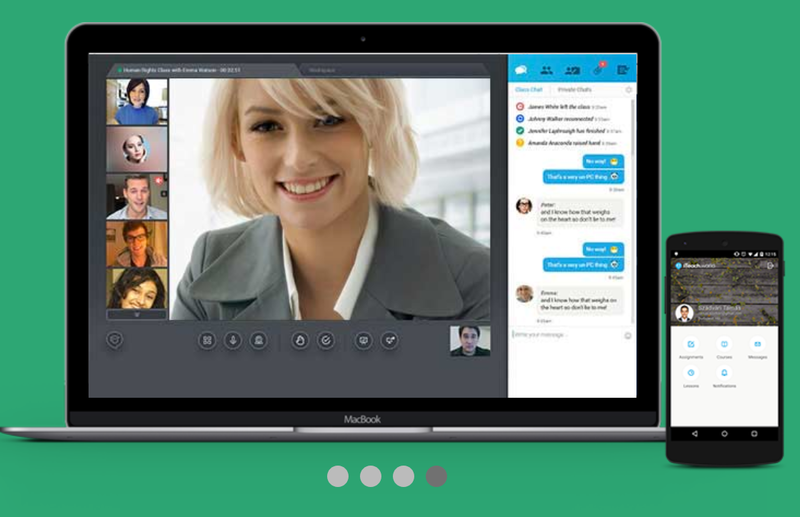 voice, email and / or face to face. 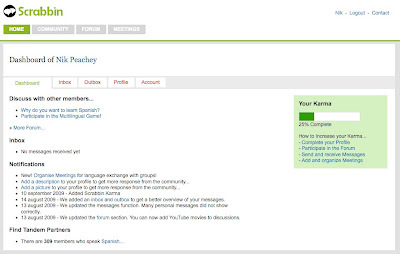 You then browse the profiles of the people who speak the language you want to learn and leave them a message to see if they want to partner you. All very simple stuff. Does it work in terms of language learning? Well I guess that depeds on you and the partner you find, but at least it's a simple free way to find someone to practice using the language you want to learn with. There doesn't seem to be any age restriction on the site and they do seem to take privacy quite seriously, but if you recommend this to your students I would still be very careful to make sure they know not to share personal information regarding their address etc and would caution against any one to one face to face meetings. Hope you find Scrabbin useful.